You’re back at your desk after a long meeting. You weren’t sure if you needed to attend, but you went anyway. And even though you haven’t done anything except sit and listen for 45 minutes, you feel drained. You’re having a hard time ramping back up again. Those moments of changing between tasks and work cause friction. Deep work expert Cal Newport calls that friction “attention residue” which is the difficulty of jumping from one task to another. Every time you switch a task or project, you lose a little bit of an edge. Those small moments can add up over time, especially as you search through old files for your conference contacts, your reports from last year’s social media push, or find those conversion rates before you made the sales page changes. Here at ClickUp, we want to minimize those moments the best we can. 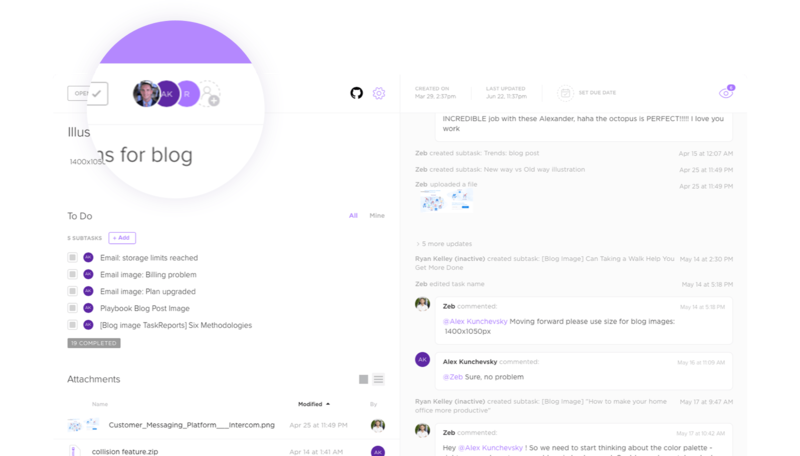 We want you to have a central place for all your contacts, lists, reports and more. That means less digging and more working. >>>>>>>>>TL;DR? Not much time? Get this blog post as a free PDF (no email required). Just like your business has an organizational hierarchy, ClickUp thrives off of a similar structure. Your Teams, Spaces, Projects, Lists and tasks create the backbone for what you need to get done. Projects. These are folders acting as a way to group and organize Lists of your tasks within a Space. As a marketing team, this is where most of your work will occur. You can create Projects for website content, sales sheets, presentations, creative design and more. Or you may want to create Projects for different business units that you serve if the deliverables are different and specific. However you want to organize is up to you! Read more about Projects. Lists. Organize your tasks further into folders such as timeframes (sprints), locations (geographic), or really anything that helps you stay organized. For example, you may have a Content Project, but have Lists for blogs, ebooks, whitepapers or brochures. This extra specificity keeps your team focused and organized. Tasks. Tasks are at the bottom, but are arguably the most important. Tasks can also contain subtasks and assigned comments. Store your files, assign specific action items and comment on the progress of the work at hand. Tasks are where things get done in ClickUp. Knowing the basics of the ClickUp hierarchy is only the start. What best practices will really move your work along? These tips will help you do just that. 1. Clearly name your tasks and Projects. Does this seem silly to talk about? In fact, it’s one of those small things that really make a difference. Establishing a naming convention can significantly decrease organizational friction. Take this common problem. You’ve designed a new brochure mockup and you’d like to compare it to the one for the other campaign you did last week. How did you name the files? “Brochure Copy 1” or “Copy for Brochure 1”? That subtle difference will disrupt your alphabetical list and order.. Then you may have to sort by date or remember which file you used. When you clearly label tasks, files and notes in the same way, repeatedly, this adds another helpful layer of organization. It also clears things up for everyone else on your project–they don’t have to hunt and peck for the files that you’ve created or randomly named. If the naming convention is agreed upon, they’ll also know where and how to look. Some firms like to add dates to their files or version numbers. Agreeing upon this will also help you determine revisions and additions. Even this can become unwieldy–and when do you update the version number? Once anyone updates it or when the original creator updates it? These small moments create friction that is very annoying in the long run. With a dedicated project management system like ClickUp, it won’t solve all of your naming problems, but it will provide a detailed history within the task of when files were worked on or uploaded. This digital paper trail will provide a tiny clue into when tasks were finished or updated–just one of the benefits of project management software. 2. Use multiple assignees on a project. Some project management tools only let you assign one person to a task. Sounds good in theory, right? But what if multiple people need to work on the same document or file? Without multiple assignees, team members may take to another tool–like email or Slack–which then creates a conversation outside of your project management tool. That’s not what it’s for. Things then could get too complicated with a subtask aimed at two people. The goal is to increase collaboration, not make it more confusing. 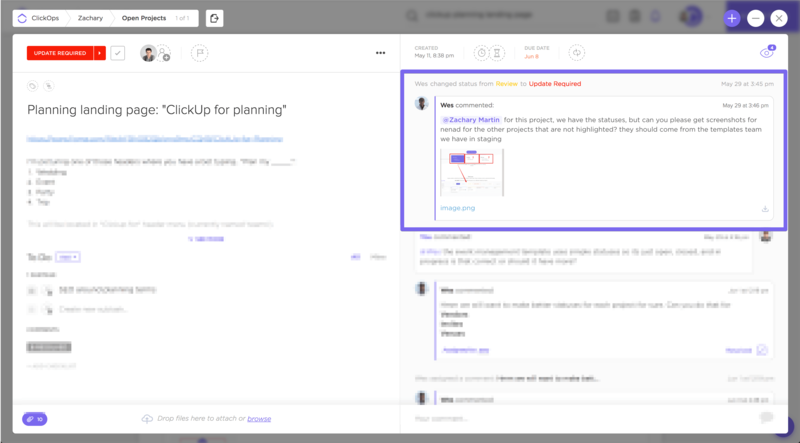 To help with this, ClickUp comments provide a great avenue for hashing out specific details and next steps, with a comment thread that’s easier to follow or better organized than anything in Slack. Keeping your comments in ClickUp will help allow everyone to participate and weigh in on important decisions–like if you need to push back a deadline. 3. Use custom statuses to know where your work stands. With so many moving parts in a marketing campaign, landing page launch or editorial calendar, ClickUp custom statuses will help you develop a method to contain the madness. Your statuses should correspond to where each piece of work stands and help you identify the next steps. You can have statuses for “In Review” or “Update Required” or “Staging.” ClickUp doesn’t limit you to one status type (even though we do have simple statuses) and allows you to customize statuses based on Spaces, Projects and Lists. This is another benefit to a clear hierarchy of Projects–you can outfit your statuses to fit your specific needs. Many marketing teams struggle with the basics of workflow management. 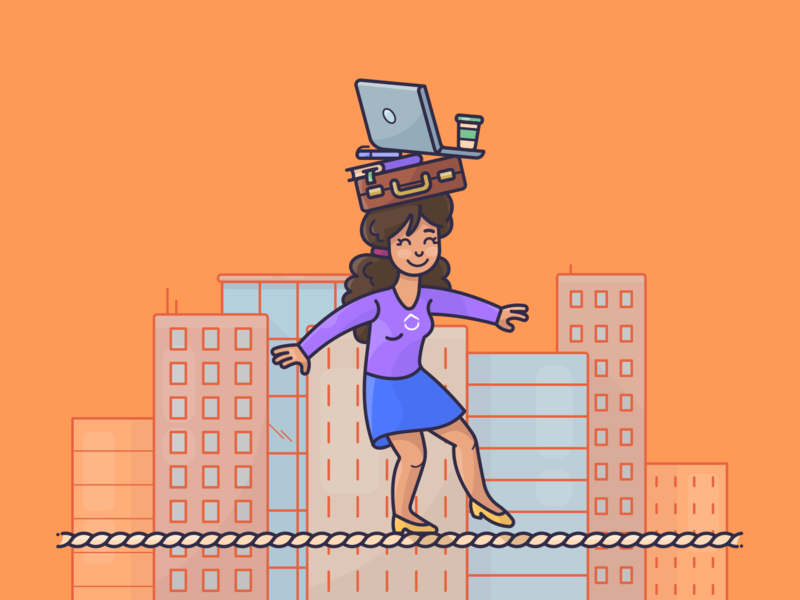 In this section, you’ll see some ideas for helping you move through your work faster. What is slowing you down? Is it too many approvals? Too much research? Is it worth having every element professionally designed or re-edited? Can that interior blog graphic squeak by? Is there a way to change text on your banner ad without sending it back to the designer for small tweaks? Re-evaluating your process and dismantling it down to the barebones will help you move faster and realize your goals sooner than you ever expected. Creating a checklist of the right steps with who is responsible for it solidifies the process and creates accountability for each item that needs to be done. Once this is complete, you can save the checklist as a template to ensure that each step of the workflow is there for future tasks. Checklists and templates empower a collaborative approach to the multiple steps that a task may require for completion because you can assign each step to a specific member of your team. They help you maintain processes while delegating. With a plan, you’re creating a sturdy platform for your team to excel. With an in-depth project plan, you’re giving them confidence. It’s a show of faith and trust in their abilities, with a blueprint that’s up-to-date and easy to follow. Project plans often include items like budget, scope, deliverables and a timeframe for completion. 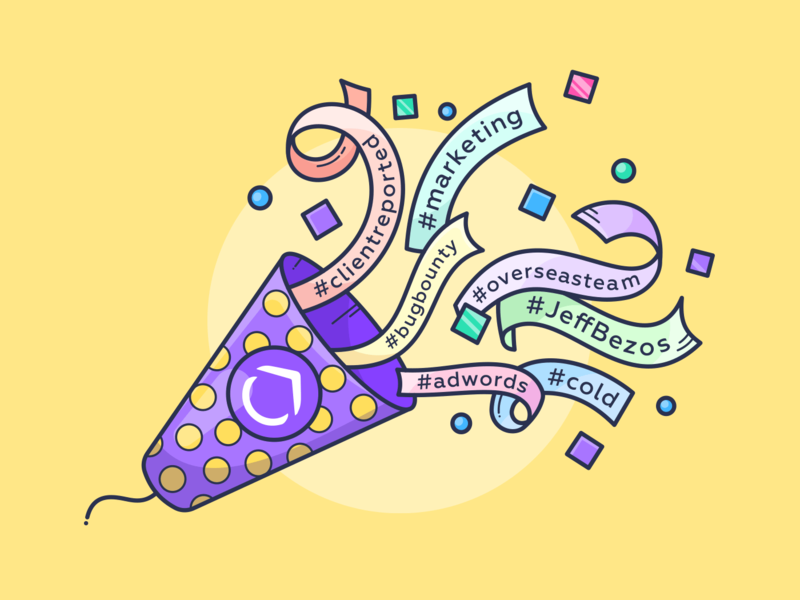 Plans like these will unite your marketing team around a common goal and will give a high-level overview of tasks and projects before they’re entered in ClickUp. Learn more about creating awesome project plans. In ClickUp, you have flexibility for how you’d like this to look. You can create a List with tasks; create one task with multiple subtasks, or have a task with a checklist. Whatever you decide, ClickUp makes it easy to repeat your processes with templates. Much of what slows down teams in their workflow management is the lack of a central place for information. If you’re always sharing details and ideas in Slack or by email, you won’t have a central repository for everything. 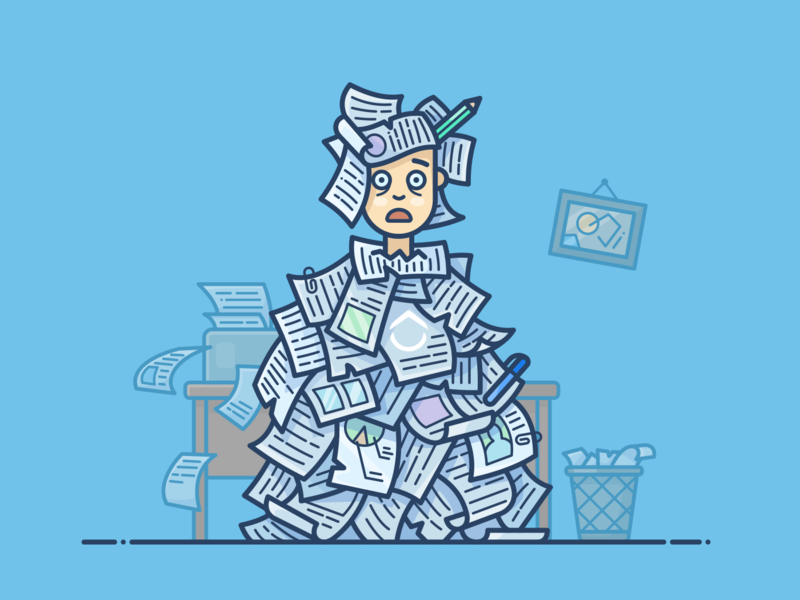 Switching from email to your document storage to your company knowledge system to the folders on that one person’s desk is a chore. Hunting down work is part of the work. But it doesn’t have to be. With one central location to find files, images, specs, presentations and more, your team will have a go-to place for information. Even if you’re across time zones or offices. ClickUp lists and tasks give you that one go-to place for all information. You’re trying to reduce friction, right? So why use more than one tool? How do better workflows help you become a better performer and rockstar? Efficient, repeatable processes help you create bigger results quickly. You want your process to be crisp no matter the size of the project, so as your scale and scope grow, you’ll be ready and disciplined. You won’t be scrambling and fretting; you and your team will be prepared. You’ve already planned the work and worked the plan with a ruthless process, so you know it works. A consistent, refined workflow is how you minimize waste and achieve more for your company. The game-winners don’t come without mastering the fundamentals, and having a lean workflow helps you to do that. Download the ClickUp marketing handbook! What Does a Marketing Project in ClickUp Look Like? Develop a concept for a landing page. Use the task description for the concept, and list any relevant details such as keyword research, an ad that the landing page will connect to and more. We’ll also add a checklist or create subtasks with due dates for each stage of the process. 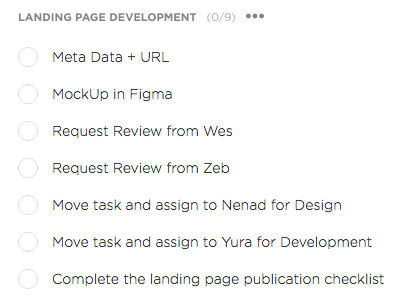 Assign the landing page tasks and subtasks to a designer. 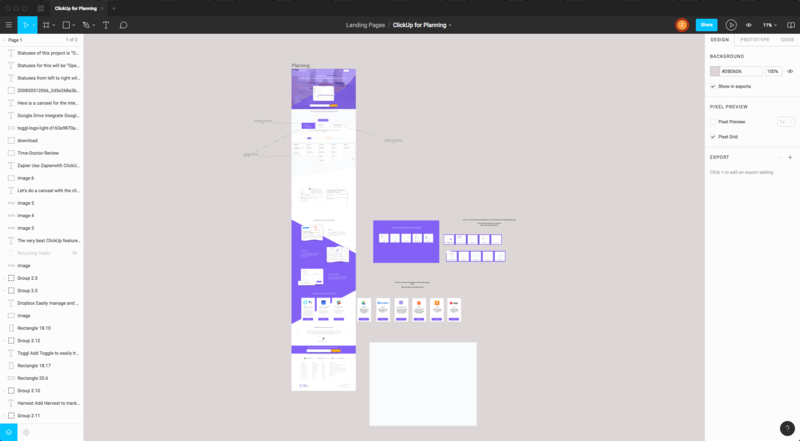 Designer builds a mockup in their design tool. Our team uses Figma and Sketch to make this happen. Draft is reviewed and comments are made. Once the designer is finished, they will include a link in the original task and change the status from “In Progress” to “Review.” Watchers or people mentioned in the comments will weigh in with any changes. Designer makes changes and sends back for review. The designer will make the changes and either upload the files right into the ClickUp task or link to the file in Figma/Sketch. Review is approved. Once the initial mockup is approved by the team, the status will be changed and will be sent to the next designer. The designer is assigned the mockup. Often, we’ll move the task or subtasks to a new Project, depending on the designer and their workload. Our design team often takes smaller tasks and creates Projects for themselves, rather than folding it into a larger build. It depends on the landing page and the components though. Review is made on site and necessary changes are made. The status gets changed to “Review” and the appropriate stakeholders are notified for a review. A checklist may be used for the different steps–such as check the links, review for grammar and add in metadata info. With a consistent process and templates, we can quickly update and change pages consistently across our site, and also begin ad campaigns with minimal friction. 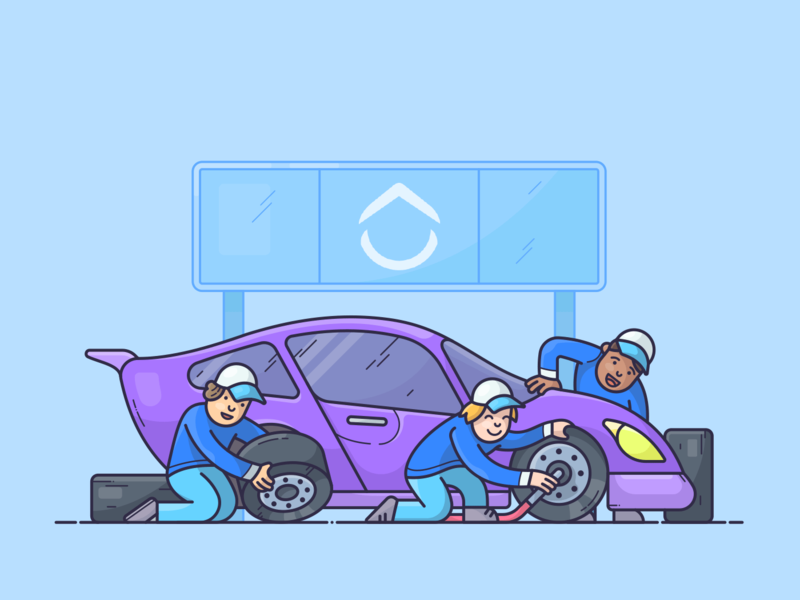 We’re not reinventing the wheel each time we try to finish a new landing page. How do other marketing teams use ClickUp? Check out these case studies. You have tools for reporting, time tracking and more. Thankfully with ClickUp, you can integrate with your favorites. Bring more of your tools into that central place for easy access. Dropbox/Google Drive: Like to review or write in Dropbox and Google? You’ll be right at home with ClickUp. It integrates directly with these services. You can link to files in Dropbox or Google Drive directly from a task. Easy! Google Calendar: When you start the sync, any tasks in ClickUp will be added to your Google Calendar. You can then adjust task Dates/Times in Google Calendar and changes will be synced to ClickUp (and vice versa). 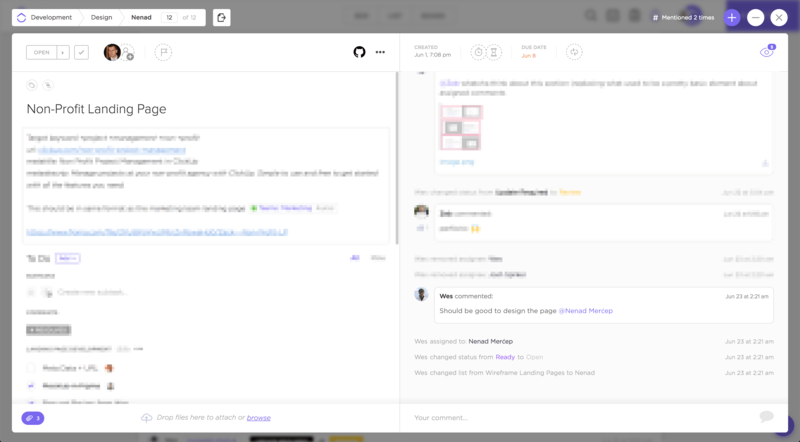 Slack: Create tasks in Slack without ever leaving the channel! If you are talking about ideas and need to move that conversation into ClickUp, then you can do it right away! Nothing falls through the cracks this way. Toggl & Harvest: Even though ClickUp has time tracking right inside the app, if other parts of your organization rely on Toggl or Harvest, then you can still use those! You can record your time right inside the task! This keeps your time organized and helps you with estimations on deliverables, too. Zapier: Use Zapier to connect ClickUp with 1,000+ tools with no technical knowledge! Zaps, which are automatic data transfers between applications, are super straightforward to setup and take about a minute to do so. You can create quick actions like adding information to a Google Sheet or creating tasks in ClickUp from Gmail. There’s a lot to think about in this guide, but none of it matters if you don’t put it into practice. Here are your next action steps. Organize. Set up ClickUp with Spaces, Projects and Lists to clarify your work. Check out this hierarchy doc to help you. Use Custom Statuses. When creating tasks, use Custom Statuses to know where each task stands and what the next action item is. Stay in ClickUp. Load your files and keep comments with the tasks to never lose a conversation. Integrate! No need to switch back and forth with your favorite apps. ClickUp eliminates the friction that can happen between your marketing team and other leaders in the company. It can clearly organize your work and give directives for next steps on designs, email marketing, landing pages and more. Marketing teams that use ClickUp see an uptick in their productivity because they’re not wasting time jumping from place to place looking for project details. As a one-stop shop for projects, ClickUp helps you get things done like never before. GET THIS GUIDE AS A FREE PDF. DOWNLOAD IT NOW!